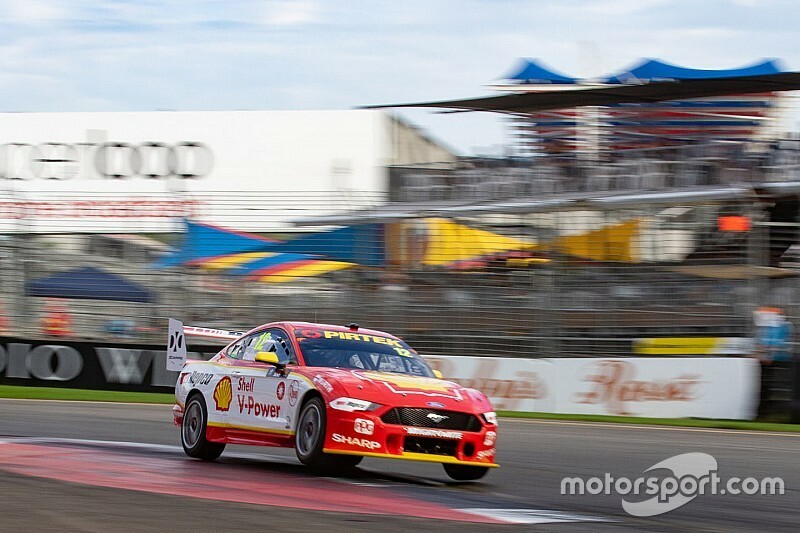 Fabian Coulthard topped the final Supercars practice session before this evening's opening qualifying of the season in Adelaide. For much of the session it was the battle of the Penskes, started by Coulthard going quickest five minutes in with a 1m21.029s. 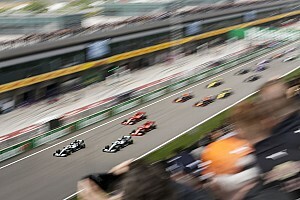 Teammate Scott McLaughlin then took over right before the halfway mark with a 1m20.908s. With a little over 10 minutes to go Coulthard set a purple first sector trying to chase down McLaughlin's time, but fell short thanks to a slow third sector. McLaughlin then lowered the benchmark to a 1m20.607s, only for Coulthard to go quicker again on his next flyer with a 1m20.467s. With six minutes to go Nick Percat joined the fun by going quickest with a 1m20.392s. But the Penske drivers weren't done there, McLaughlin returning to the top with 30 seconds to go thanks to a 1m20.179s only for Coulthard to pip him at the flag with a 1m20.114s on his second set of green tyres for the session. “It’s all about knowing what you’ve got. 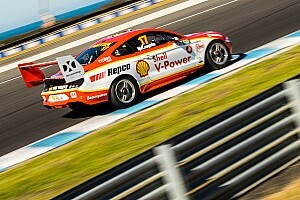 I just needed to get a bit of confidence back, that’s definitely the way to do it,” said Coulthard. 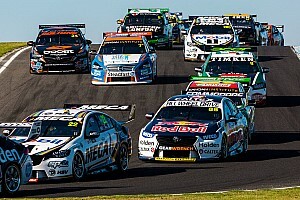 Jamie Whincup improved on his final run to end up third quickest, bumping Percat back to fourth. Chaz Mostert was fifth, Tim Slade sixth, and Will Davison seventh. 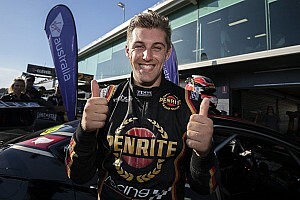 Cam Waters made it three Tickford Mustangs in the Top 10 with eighth, Anton De Pasquale was ninth, and Scott Pye 10th. 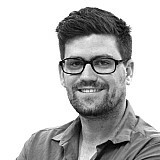 Shane van Gisbergen and David Reynolds were the noteworthy exclusions from the first 10, the two Holden drivers just 12th and 13th respectively.